For breakfast or brunch, non-conventional lasagna is always a hit – and the Paleo crowd seems to know it best that any meal is game to get the day started. We need energy and we need it now, so while a slow cooker breakfast casserole may be similar in its eggy, sliceable appearance, you won’t always remember to cook while you are sleeping (i.e. to slow cook overnight so that breakfast is ready in the morning). What you can do is to prepare the chopped vegetables at night and store them in the fridge, so that you are ready to turn the oven on first thing in the morning. Weekends are best for breakfast lasagna! 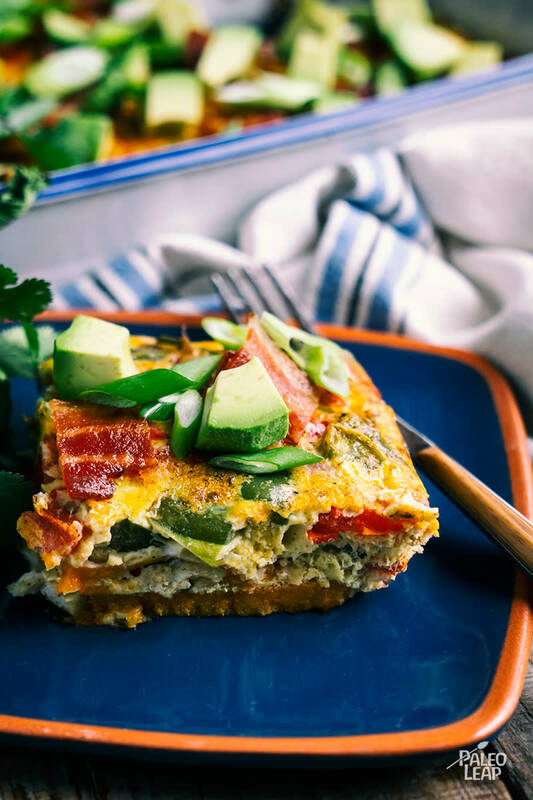 There is no such thing as traditional here, though we know that in Mexican cuisine cheese is hard to do without: queso blanco, panela, cotija… In the spirit of keeping this Mexican-style breakfast casserole dairy-free, we’ve added some coconut milk to keep the quiche-inspired texture intact. It is really the spices, that remind us to the southern roots; the chili powder, ground cumin, paprika and oregano. Go heavy on those herbs, garnish with chopped hot pepper, maybe even a dollop of Paleo sour cream with lime juice, and you’ll soon be tempted to take another slice of lasagna. Now it is time to get that slow cooker fired up. Toss in a pork shoulder along with plenty of spices and get that Mexican-Style pulled pork ready for dinner. Tacos are on their way!